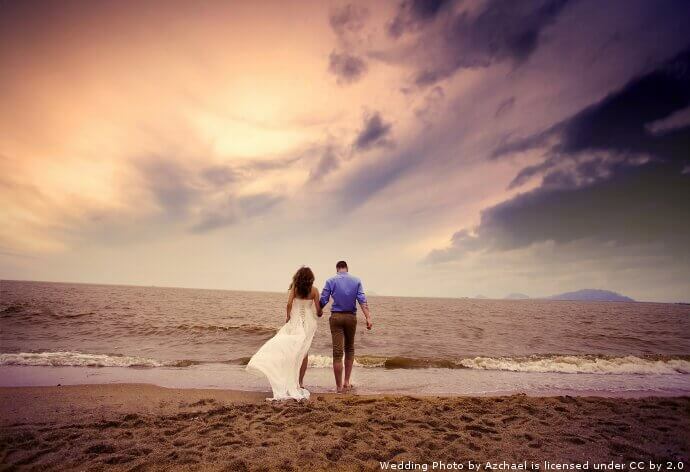 Each year 100´s if not 1000´s of people come to Costa Rica for their wedding. It is a great option with beautiful scenery, year round great weather and no shortage of locations to choose from. So now you are considering having your wedding here as well? Continue reading to find some tips to consider before planning your big day. Also do not forget about your honeymoon and consider some romantic activities in the area. One of the first things to consider is whether to hire a planner. You will likely end up spending more on a wedding planner, however it can save you a lot of stress. This could be especially valuable if you are not actually in the country. Having someone with knowledge of the area and their feet on the ground will make getting everything arranged much easier. They also probably have great connections you would not otherwise know about. If you are on a budget though, consider planning everything yourself. Another of the biggest concerns you may have is making your list of people to invite. If you are having a destination wedding, it will prove difficult for many of your guests to be able to make it to the big day. It is not an easy task to plan for the plane tickets, accommodations and transportation for all your guests. The transportation is something to strongly consider here in Costa Rica. Getting from the airport to a hotel or the beach can be quite costly when hiring private drivers. Consider renting a vehicle and trying to get your guests to arrive together so they can share transportation. If you do choose to rent make sure you choose the right rental car. What venue you choose to have your wedding at will have a large impact on the rest of your decisions. If you choose to have the wedding at an all inclusive resort for example, it could save you a lot of stress. You can let them handle setting up your furniture, most of the food, and the accommodations for your guests. We have a list of some of the most impressive resorts here in Costa Rica. This may or may not be more expensive than setting up everything yourself, depending on whether you go all out. However if you choose to have your wedding in a more remote destination, you will need to make arrangements to rent furniture, have food catered and get transportation lined up for your guests from their hotels to the event. Besides just considering how to get your guests from point a to point b, how will you move all your decorations? If you choose to arrange everything yourself, something to think about is how you will get tables, chairs, decorations, food and everything else to your destination. In that event renting a vehicle will be a great option, to give you the freedom to find exactly what you need for your perfect day and get it on your own schedule.